The other day, I got some great news from a dear friend: she’s pregnant! What does that have to do with lobster ravioli? Well, she lives in Maine, the thought of which makes me long for a creamy lobster roll enjoyed along coastal Maine in the summer sun. Warmer though the temps may be here in Dallas, it’s not quite time to break out those buttery, griddled hot dog buns. 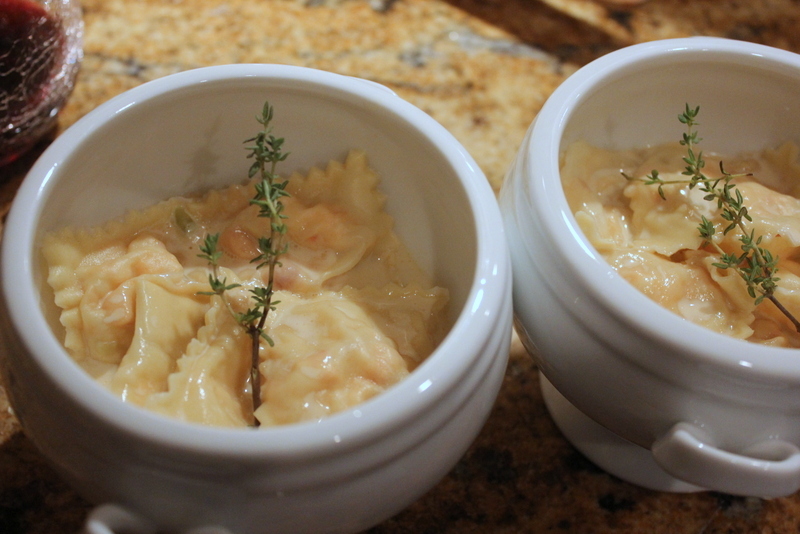 But lobster ravioli? That sounds like a perfect dish for a February day. 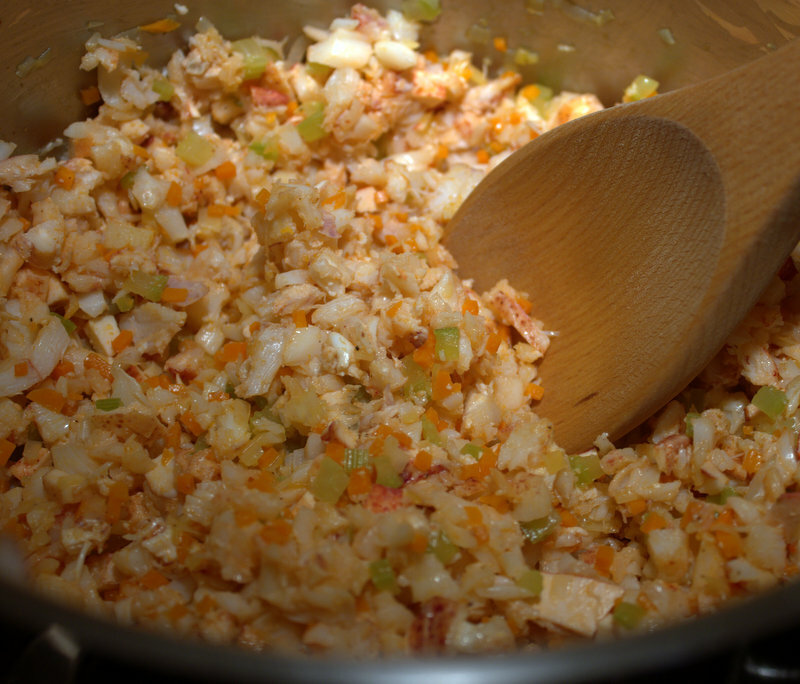 I softened some fennel, celery, carrots, leeks, and spices in butter and added the lobster meat, which I diced fairly fine after it cooled. After the filling cooled slightly, it was just a matter of assembling the ravioli. 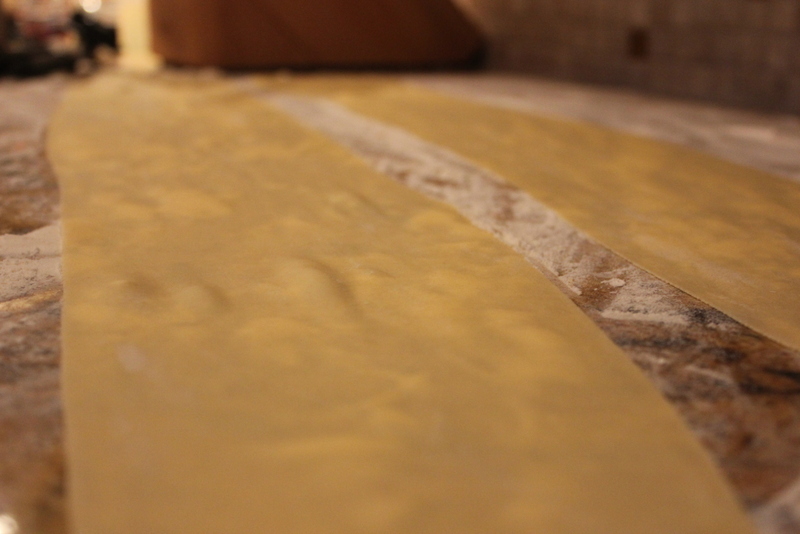 I placed a sheet of pasta onto a ravioli press, filled the indentations with the lobster/veg mixture, sealed with another sheet of pasta, and voila! Because the pasta is fresh, it cooks up quickly. 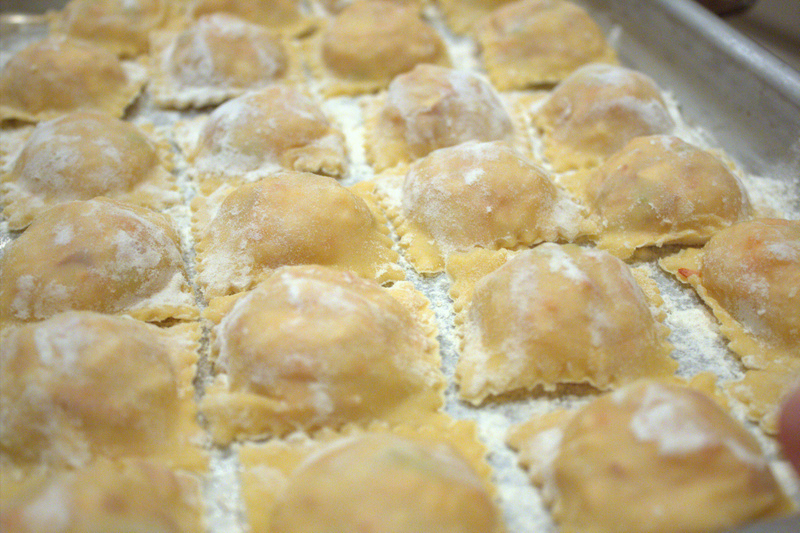 As usual, boiling salted water does the trick, but unlike dry grocery store pasta, your ravioli will be done in a matter of minutes (2-4 that is). When the ravioli float, they’re ready. Just place into a bowl and top with that broth (which by now, has reduced down to a perfect coat-the-back-of-your-spoon consistency). A little thyme garnish brightens things up, but don’t forget to set that sprig aside before digging in! 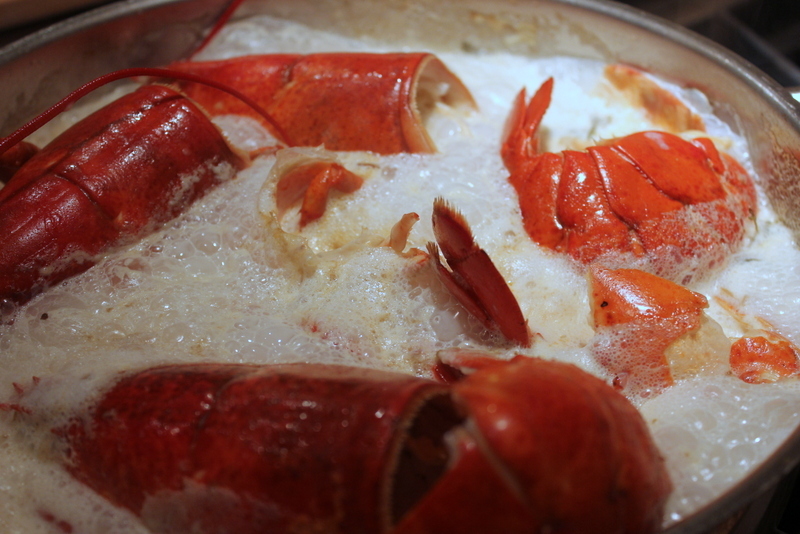 If you have any longing for a proper Maine lobster roll, this should stave off those cravings. As for me, by the time summer rolls around, I may have to make a trip up to Maine to meet the new baby (and grab one of those coveted rolls).